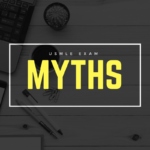 Because your time is so limited, we want to give you a short, direct informative guide to help you succeed and achieve the USMLE Step 1 score you have aimed for. Don’t panic, we have laid out all you need to know below. USMLE wants you to see medicine differently, make it practical. That means that USMLE questions are not direct (first-order) ones, but rather second or third order questions, in this case: A drug commonly prescribed for motion sickness (cruise trip), but is contraindicated in closed-angle glaucoma. You will get the hold of this as you go, without a doubt. Your score should be aimed according to your specialty. Like in any country, some specialties are particularly more competitive in the United States. Numbers do change from year to year, but there seems to a be pattern to Radiology, Dermatology and Plastic Surgery always requiring higher scores, starting from 240. 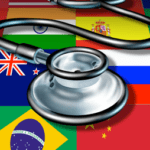 Other specialties such as Family Medicine, Internal Medicine and Physical Medicine require scores starting from 220, roughly. The average score in the United States is of 220. So if you haven’t decided which specialty to go, we recommend you to aim for 240. If you have, on the other hand, get the latest information on the average matching score. Anxiety is a part of the deal, but let’s put things into perspective. Parallel to the first two: Read First Aid Step 1 at least three times, taking notes. The last month before the exam you will be working a lot, mostly with your notes and with First Aid, basically, this formula prepares you for that period. Pacing your study and following CRUSH’s simple rules is a time-saver. Study 50 minutes, rest 10. Or if you prefer, 1 hour 40 minutes, and rest 20 minutes. Those cycles should be repeat four times. You can have two blocks or four cycles each like that a day. Resting is crucial. Take one day off from studying weekly: forget about the exam, do other things you also enjoy, even if while doing them you can’t help but diagnose everyone around you now. Before exam, do at least 4 full-length exams with timing before your USMLE exam date. This will help you fight away that anxiety like a ninja, you are very prone to succeed if you are acquainted with the real exam conditions. When doing a question bank, take notes on every question, write down the concepts, make diagrams. The Prep Course should fit your needs. 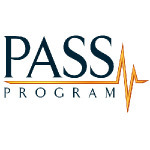 Additionally, an imperative part of your success is knowing which USMLE Step 1 prep course works for you. CRUSH team has tested and set them out for you, not to mention the discounts you can get through our website. First scenario: If you are still a medical student, you might be running out of time between classes and finals, so you need both mobile access, as well as extended subscription time, in that case we recommend Smash USMLE: you can get it for a whole year, watch 250 hours of video lectures and download a free smartphone app. Another great learning venue would be Becker, since it offers a very similar deal! Second scenario: If you are an international medical graduate, for example, and are no longer in medical school, you might have more time to concentrate on your exam alone and more intensively, so Kaplan USMLE might be the choice for you, with a 3-month subscription. Third scenario: if money is tight, but you still want to make the best out of your test preparation, we highly recommend Board Vitals and GraduateX. Moreover, we offer discounts on them, as well! Ultimately, you can test all demo versions of the five prep courses we mentioned and test drive yourself. A great amount of students will go online and read about all the prep books and be convinced they need all of them. Remember, you can’t read Harrison’s Principles of Internal Medicine or Gray’s Anatomy before your exam. That’s ground learning, that’s past you, we are focusing on reviewing now (even if you have studied abroad in another language!). So before thinking books, make sure they are review books with high-yield information — principles you are very likely to see in your exam. Like all great works, USMLE is full of classic questions, and people who write review books know that. They have done the work for you. There will most certainly be a question about a farmer with organophosphates poisoning, the flushing side effects of atropine-like drugs, or say, if it’s a genetic condition, USMLE Step 1 will always present it with the classic patient and his/her origin, for example, sickle cell anemia is commonly seen in children. USMLE won’t test you for the exceptions, but rather with the most common drugs, side effects, presentations, causes. As said, it is a classic. Buy a complete series. By doing this, you can be sure that all the material is covered and that it won’t repeat itself. Also, the repeating design, writing style is also a big plus. Buy the best book for one subject from different series. You might need a little more time doing research, but if you feel comfortable with different books from different series, then this is a good way to go. You might find out that Kaplan’s books are great, but you’re just not ready to replace Pathoma and Microbiology Made Ridiculously Easy for their respectives in the series. We don’t recommend you to buy two or more books on one subject. You should believe us when we say: All the material you need will, one way or another, be covered either in your review books, question bank or First Aid. No matter which one of the above you go for, remember: buying the latest edition of First Aid Step 1 will ensure your being on top of the newest mnemonics and high-yield facts. First Aid Step 1 is not an addition to your review books, it is simply a must-have. You might want to bind it to make it easier to read, as well. Making mistakes in the question bank is also learning. You don’t have to feel demotivated if you miss a lot of questions while doing your question bank. The question bank is a learning tool, so are the mistakes you will make. You have to relate to the question bank as an online book: it’s a perfect place to make use of trial-error, and do not feel as if you’re not improving if you do miss questions. So to access your progress after the first round of questions would be very demotivating! It is recommended to do a question bank fully two to three times. Understand your brain and the way it learns better, use this in your favor. The 1-3 rule. You’re a doctor to be, so use that knowledge in your favor: Your brain has a learning schedule, so work around it. Take into account that the adult brain needs to reencounter a material around 48 hours after the first time you were introduced to it. So how can you apply this? Solve a test block, for example, say, of 40 questions per block. If you solved it today, make mistakes, read the explanations for the question in the test bank and move on. Two days later make notes from this exam. Long story short: you need to be introduce to the information on day 1, and reencounter it on day 3. Before your test, you can freely review these notes. Note taking: go old school. There is no best way to take notes, if you’ve been to medical school, you have by this time found out the method that best works for you. A lot of people prefer to type, instead of writing, but if you are a medical student you do know that by writing you do remember more by using different parts of your cortex, rather than just typing. It also goes without saying that you would spend a lot of more time inserting symbols (arrows, for instance) into your notes than if you simply wrote them down in form of a scheme in a notebook. The Feynman method. A lot of students struggle without a study partner, in our opinion, even though this is a great we-are-on-the-same-boat strategy, we have another solution for those who prefer to work on their own time, or simply on their own. Another great strategy to optimize your learning is by becoming a proud adept of the Feynman Study Technique. It is based on using different parts of your brain to quickly retain information and works in simple four steps: First, pick a topic, read about it; second, pretend to teach yourself out loud (this is very important! ); third, if you get stuck during the explanation: revisit the book; and fourth, repeat the process using analogies, simple language and connecting facts. So, keep in mind, a study partner is great, but here’s a simple (and effective) solution. The mock exam is your best score predictor. 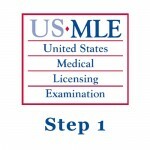 USMLE Step 1 score is by taking mock exams. They look just like the test itself. Turn off your phone, and get ready for an eight-hour task. After that, do something relaxing: go binge watch your favorite show, go out dancing, have a cup of coffee with your friends, shift your mind from the test prep and the next day you will be fresh as new! 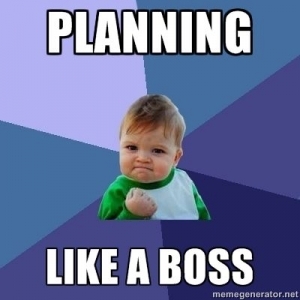 Plan, plan, plan, when nothing else: plan. If you’re very insecure about whether you are ready or not to schedule your test, get an organizer and write the amount of work you need to get done everyday, item by item, and see how much time you actually need. You can do a check-list if you like the concept better. 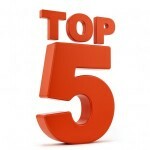 If you feel like that is not enough, here is a little insider’s trick that seems to work: say, by the time you have completed 10, 20, X number of items from your USMLE Step 1 prep to-do list or check list, you give yourself a little reward. Remember that nice bag you had seen the other day? Or, say, a boat ride, bike rent, a pair of nice shoes (dress for your future job, right? ), or even a tattoo. Have yourself a merry little holiday! You can actually put these rewards into the list and as you complete your milestones, go out there and get what’s yours. Take-home message: life-long learning is part of being a doctor. Lastly, remember: your USMLE Step 1 preparation isn’t supposed to be a burden! Take one thing at a time and you will find out that by the end of this experience you have made nothing but a better doctor out of yourself. When you started medical school, for example, by the time you’ve finished it, you will see guidelines changing, new drugs appearing, others becoming obsolete, and you need to adapt to those innovations all the time, life-long. Keep being curious, keen and hard-working — the more positively you relate to your studying experience, the more positive the outcome will be.